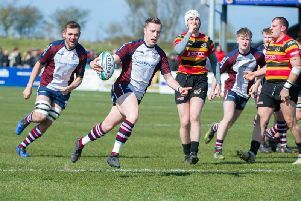 Bridlington once again took the spoils in the East Coast derby, winning 30-18 after an attritional battle at Silver Royd against a young Scarborough side. The visiting team just shaded the game physically, and this proved the difference with all of their tries coming through tight rugby around the ruck. Bridlington led 10-8 at half-time after Tom Chadwick’s 50 metre breakaway led to a try, before the visitors hit back through fly-half Welch. The away side dominated the second half to run out eventual 30-18 winners.